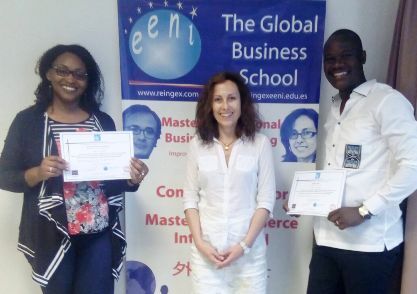 Management is something hard to understand; direction is not an easy task to achieve, but EENI Business School & HA University has found the way to put it all together into one piece, with its different master programs focused on international business. However, we have built a structured way of learning with knowledge from different scholars worldwide to achieve success. EENI is working hand-in-hand with International entities conveying projects with the purpose being a bridge in the middle of the crisis and solution. I invite you to experience a new structured way of learning that will turn you into an expert and leave behind your role as spectator our teaching team is ready to take you there. She is the Director of International Relations of EENI Business School & HA University. She manages the commercial department and the virtual educational platform developed by EENI.